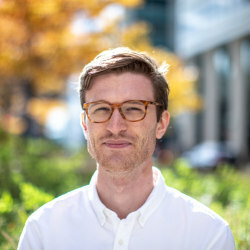 Austin Berg is the Director of Content Strategy for the Illinois Policy Institute. He works to tell the stories of Illinoisans who are affected by public policy through writing, photography and video. He and his work have been featured in the Economist, Washington Post, Chicago Tribune, Chicago Sun-Times, ABC 7 Chicago and WTTW. He is the winner of two Peter Lisagor Awards from the Chicago Headline Club for his photojournalism work. He is a graduate of Tufts University.